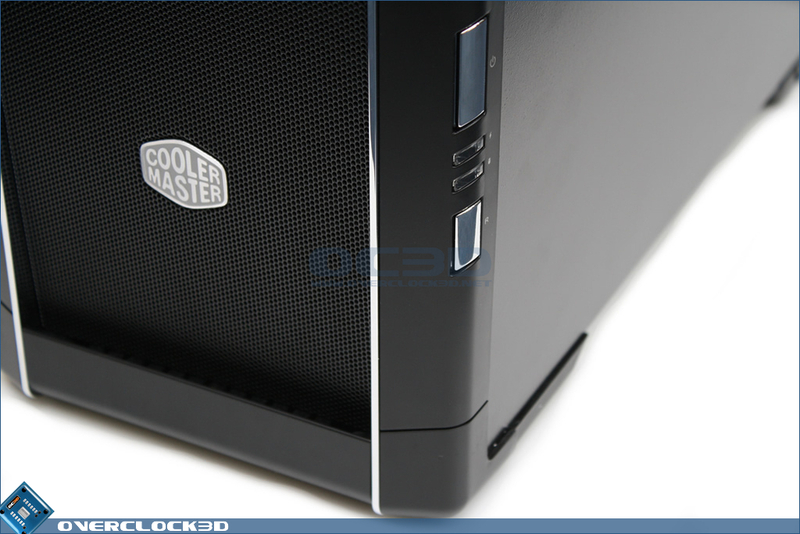 Based around a Cooler Master 690 case with an L-shaped side window, it's clear to see that YOYOTech wanted to make the Water Dragon 940 something a little more special than an 'average' pre-built system. 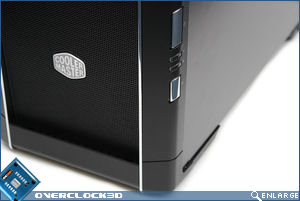 Although the case can hardly be described as high-end, it's curved appearance with meshed front and side panels is quite appealing and would be hard to dislike. 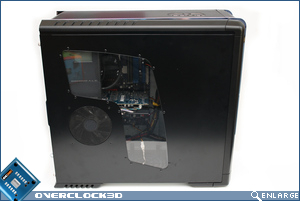 For those worried about dust, you'll be pleased to hear that only certain parts of the meshed area on the case (drive bezels and fan areas) are actually open to the elements, with most of the mesh actually being backed by plastic. 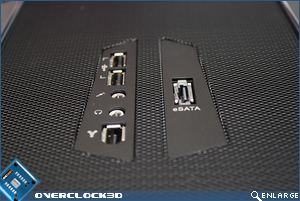 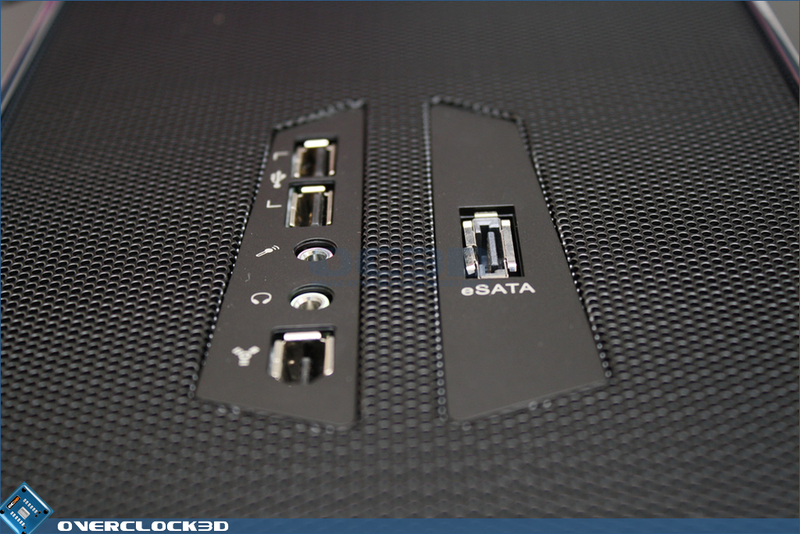 The Power & Reset switches are positioned down the right-hand side of the case which is quite an unusual position considering the USB, eSATA, IEE1394 and Mic/Headphone ports are located at the top of the case in a much more 'natural' and easier to access area. 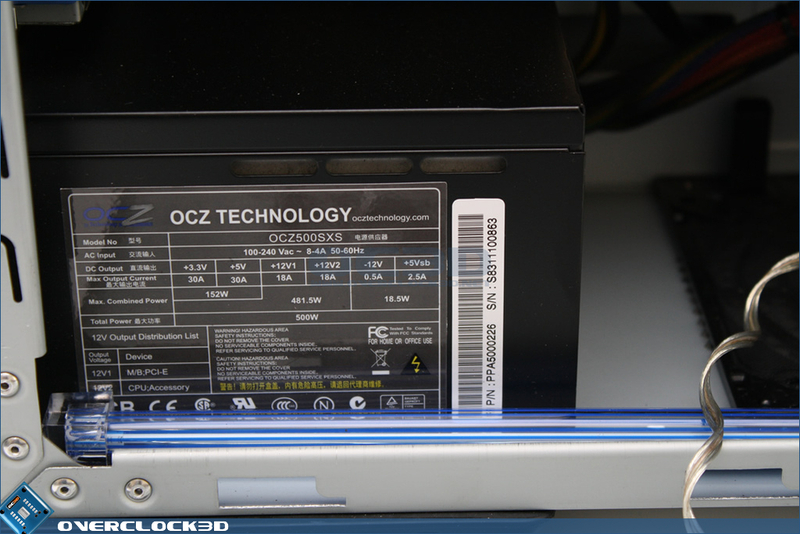 No YOYOTech branding is present on any part of the case which is consistent with the systems we've seen previously, but a tad strange as most system builders will do anything to get their name 'out there'. 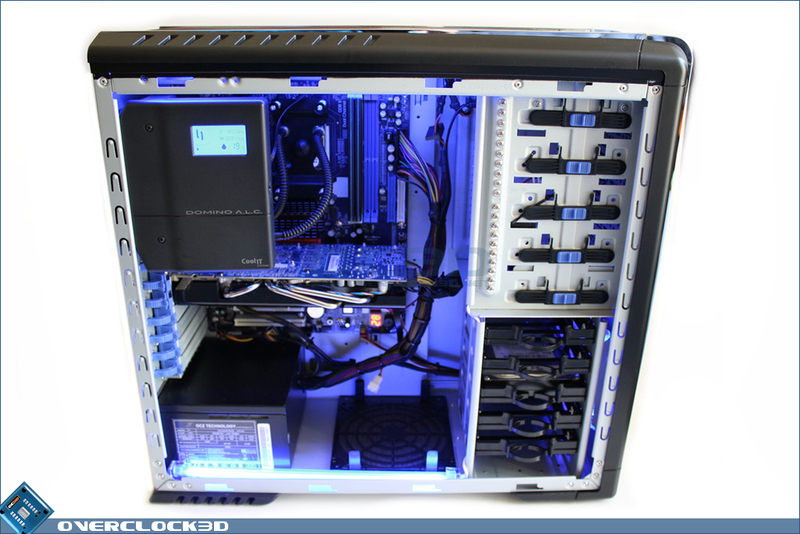 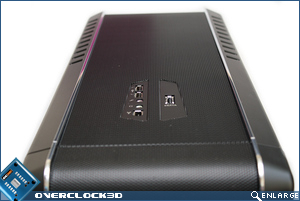 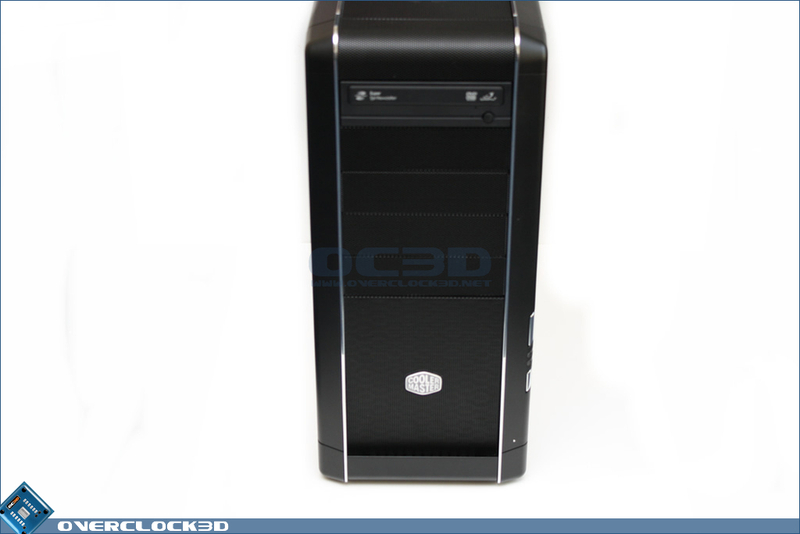 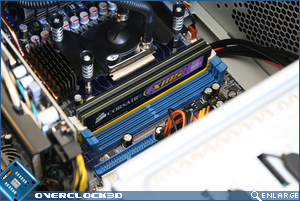 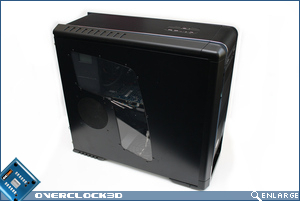 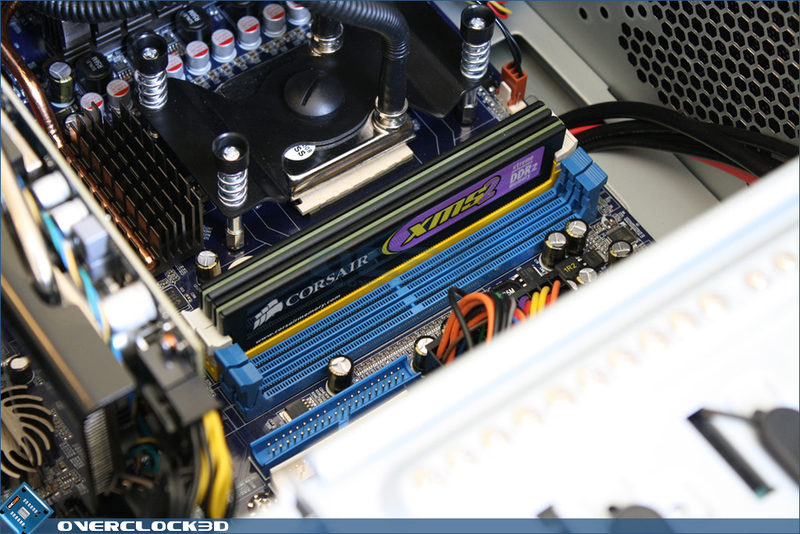 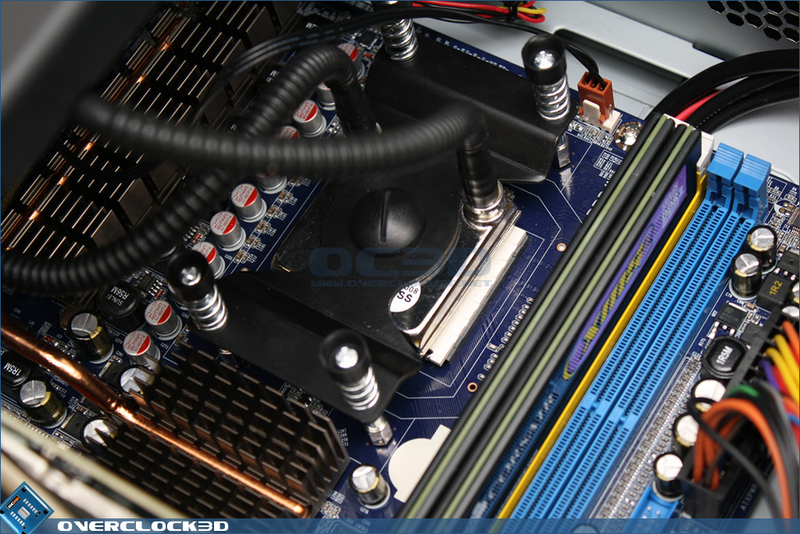 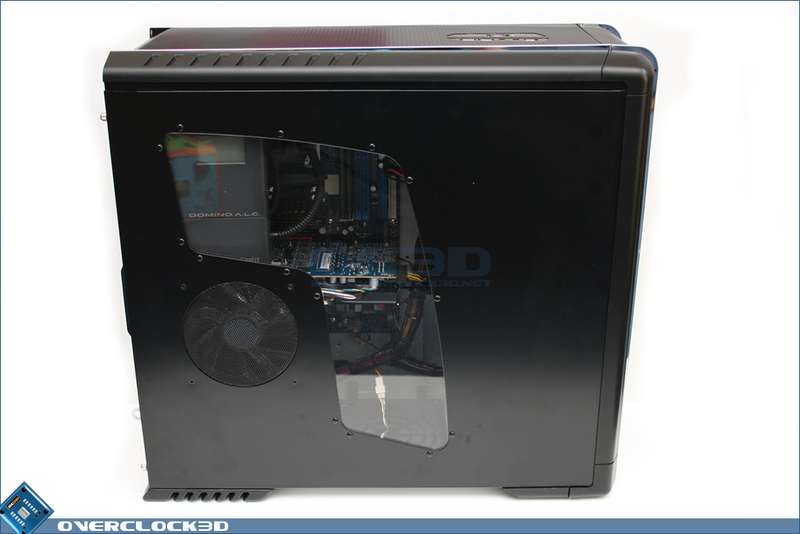 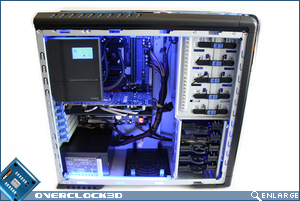 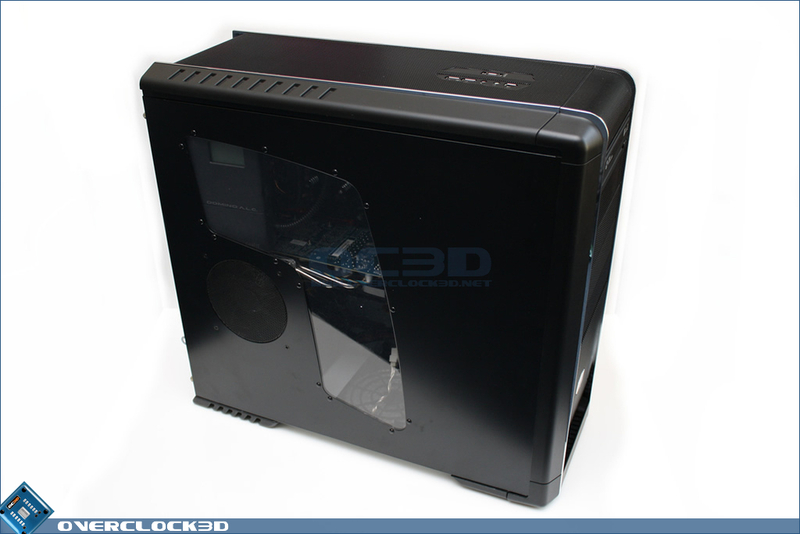 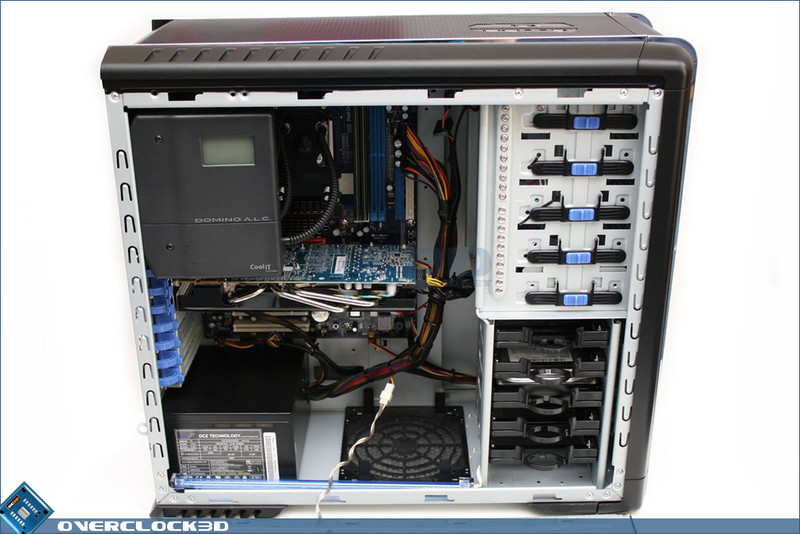 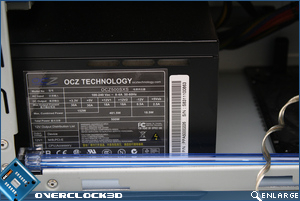 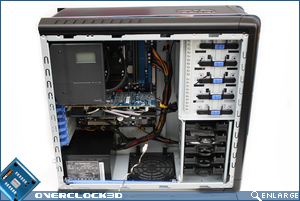 The side panel is kitted out with a Blue LED 120mm fan aligned directly beside the graphics card inside the system. 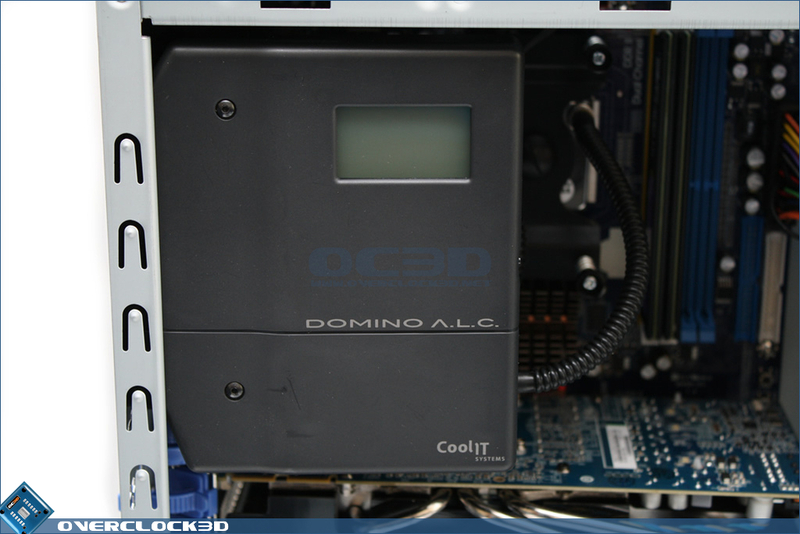 As we've already mentioned, the case also features an L-Shaped window that conveniently allows full viewing of the CoolIT Domino LCD display (more on that shortly) and of course most of the hardware contained within. Moving on to the internal appearance of the Water Dragon 940, YOYOTech need to be commended on the functional yet tidy cabling inside the case. 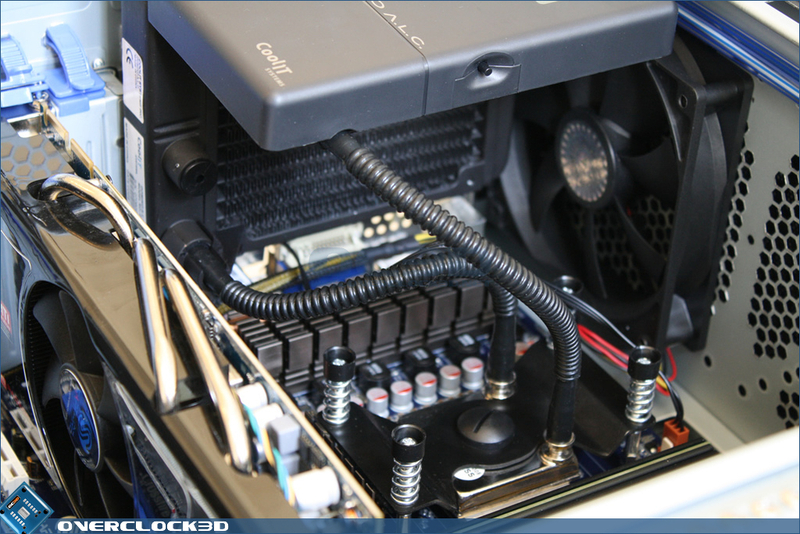 Although the cables could undoubtedly be hidden a little more by routing them behind the motherboard, the configuration of our system allowed for additional hard drives and devices to be added without too much 'unbundling'. 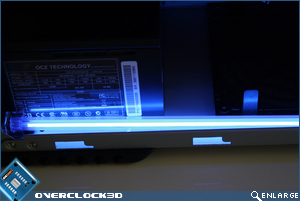 Blue cathodes have also been installed on the top and bottom of the case, giving the whole system an awesome appearance in a darkened room. 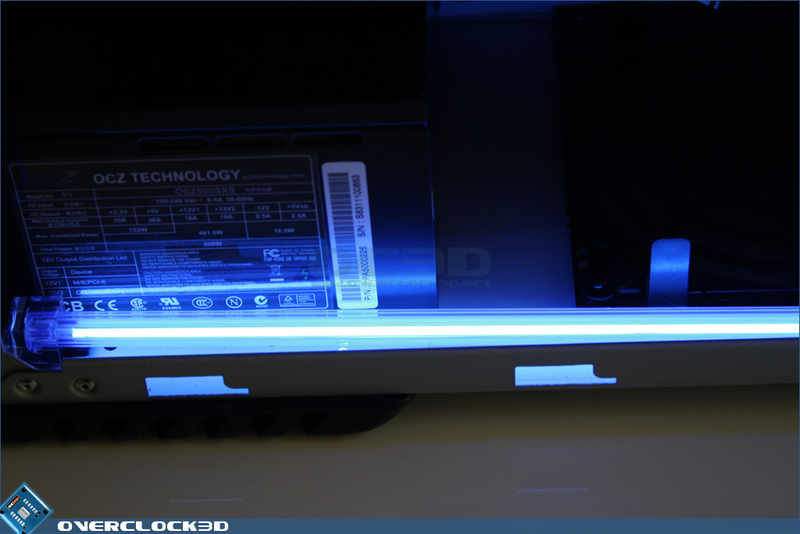 Unfortunately there doesn't appear to be any (easy) way to turn these off if they don't suit your tastes or surrounding environment. 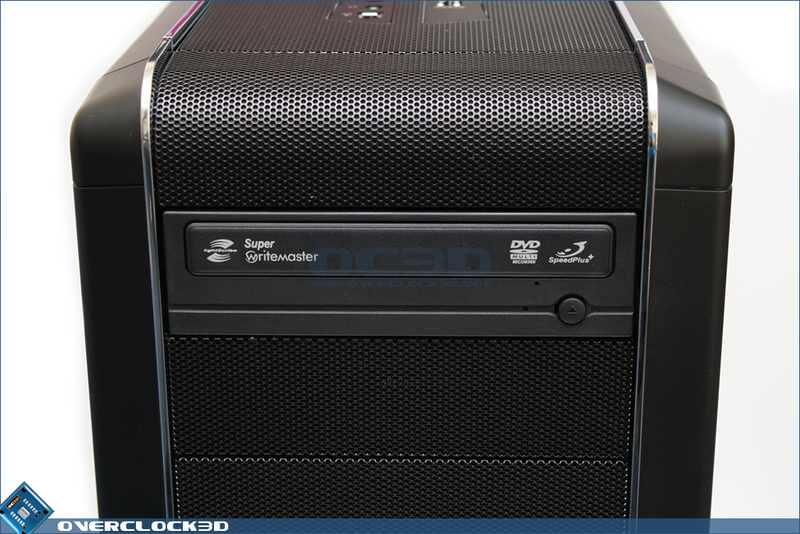 The pièce de résistance of the entire PC has to be the CoolIT Domino A.L.C water cooling system. 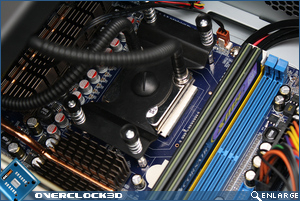 Although such systems are generally quite poor at keeping CPU temperatures under control (and indeed a CoolIT system reviewed on Overclock3D back in 2008 didn't do too well) the Domino managed to keep the AMD X4 940 below 30c Idle and 45c Load (25c Ambient) throughout testing. 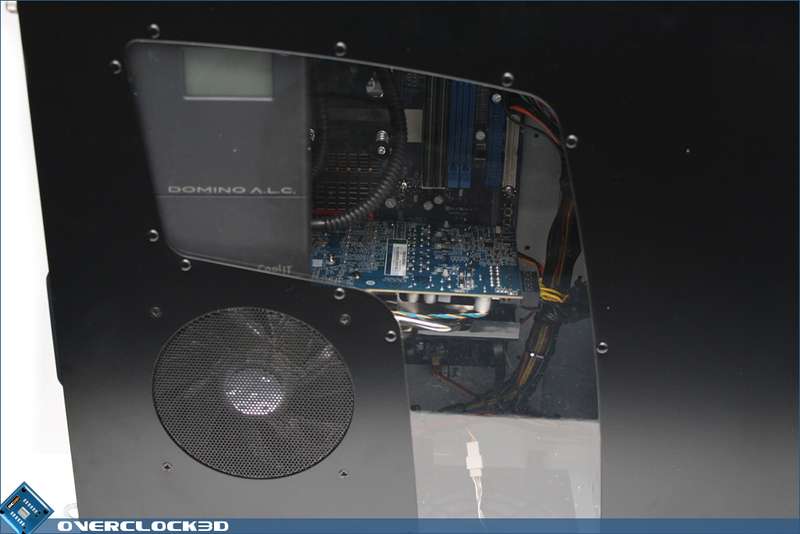 This is pretty damn good considering YOYOTech have applied a healthy 600MHz overclock to the CPU and the Domino consists only of a single 120mm radiator with silent fan. 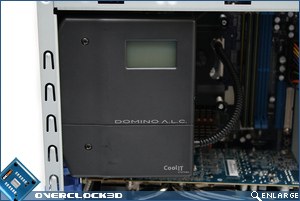 Of course being a CoolIT device, the Domino does have a certain amount of 'bling'. 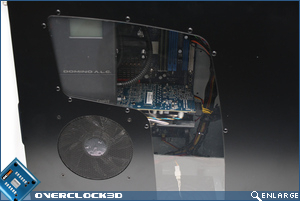 This comes in the form of an LCD display that measures CPU temperature fan speeds. 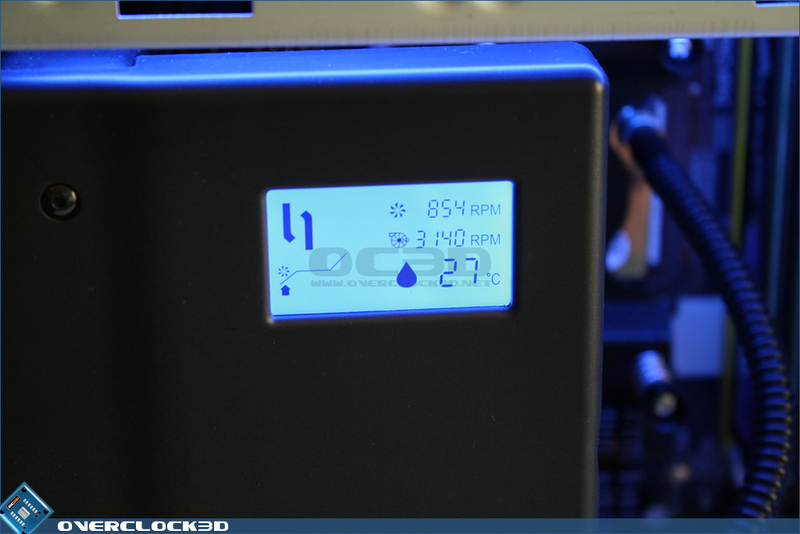 The Domino also appears to have several manual fan speed settings for gaining extra performance from the unit at the cost of noise, but unfortunately as our time with the Water Dragon 940 was only short, we didn't have any time to play with this. 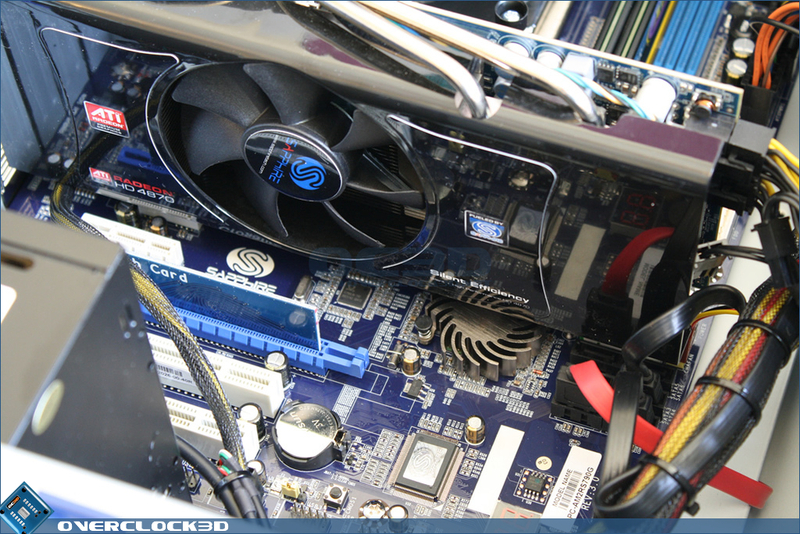 Finishing up with some other random hardware shots, we can see the Sapphire HD 4870 graphics card with quite a nifty non-standard heatpipe based cooler. This proved to be much much (much) quieter than the standard ATI design cooler and helped keep overall system noise to a minimum. 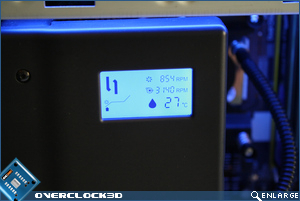 YOYOTech have made some excellent hardware choices inside the Water Dragon 940 with branded hardware being used in places that most system builders would cut corners with OEM parts. 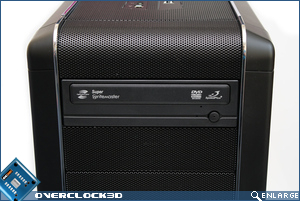 But how does it perform? 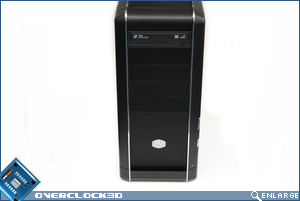 Let's put it though its paces over the next few pages.